Emerson F. “Buck” Muller, 92, of Gettysburg, died Thursday afternoon, Jan. 24, at UPMC Pinnacle, Hanover. He was the widower of Arlene (Wintrode) Muller who died Oct 5, 2007. Born June 15, 1926 in Salem Bottom, MD, Buck was the son of the late Frank & Myrle (Buckingham) Muller. 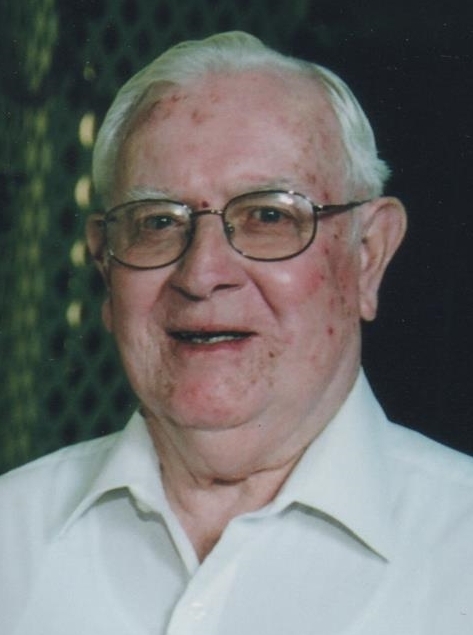 He was owner of Wintrode Buick, Chevrolet & Oldsmobile of Littlestown. Surviving are his children: Barbara A. Muller of Gettysburg; Stephanie L. Muller of Fayetteville; Mary L. Stetson & Dana of Maraneck, NY and Ray E. Muller & Martha of Bend, OR and his 5 grandchildren and companion, Ruthann Bear. Buck was predeceased by his 2 brothers, David & Glenn Muller and his sister, Carrie Poole. He was a member of St. Mary’s UCC, Silver Run; Patmos Masonic Lodge of Hanover; past president of Littlestown Jaycees; Littlestown Lions Club; Good Sam’s Club of Gettysburg and a Camp Resolute member. Buck liked to travel, visit with friends, boating, old classic cars and spending time with his family. Sending sincere condolences to you and your family. So sorry for your loss. Steph and family, we're so sorry to hear of your dad's passing. Thoughts and prayers are with you.